The panel discussion on ‘Addressing the quality paradox’, at the second day of the 4th edition of Healthcare Sabha, brought to fore that transparency, awareness, health literacy etc. are very essential to improve quality of healthcare in India. The panel consisting of Dr Madhumita Dobe, Director-Professor (Public Health) & Dean Head, Department of Health Promotion & Education AIIH&PH, Kolkata (moderator), Bejon Misra, Founder, Partners for Safe Medicines; Rajiv Kumar Jain, Additional Chief Medical Director, Health and Family Welfare, Indian Railways, Dr Suresh Saravdekar, Honorary Sect. IPA and Dr V Kalaiselvan, Principal Scientific Officer, IPC, highlighted how often people talk of quality in healthcare but do not know how to go about ensuring it. Jain also emphasised how hygiene and sanitation are pivotal aspects of public health. He said that environment, water and food are also connected to healthcare and we need a proper quality inspection of these factors. “Quality in healthcare encompasses several aspects. For instance, sanitation is a major aspect when it comes to enabling and ensuring quality in healthcare. 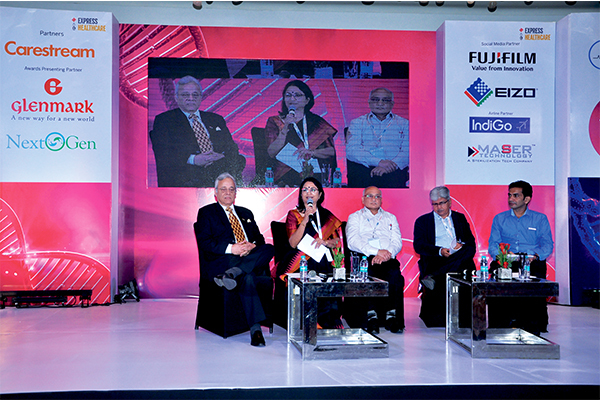 It is essential to have a 360 degree approach to improve quality in healthcare,” he informed. Sharing their views, panelists informed that there are resources and mechanisms in place but they are not effectively deployed, which is one of the paradoxes that hinder quality adherence in healthcare. They recommended mapping of resources, a robust feedback mechanism, improved skilling and training of human resources, encouraging pharmacovigiliance etc. as aspects crucial to quality assurance in healthcare. Transparency, awareness, health literacy is very essential to improve quality of healthcare in India.